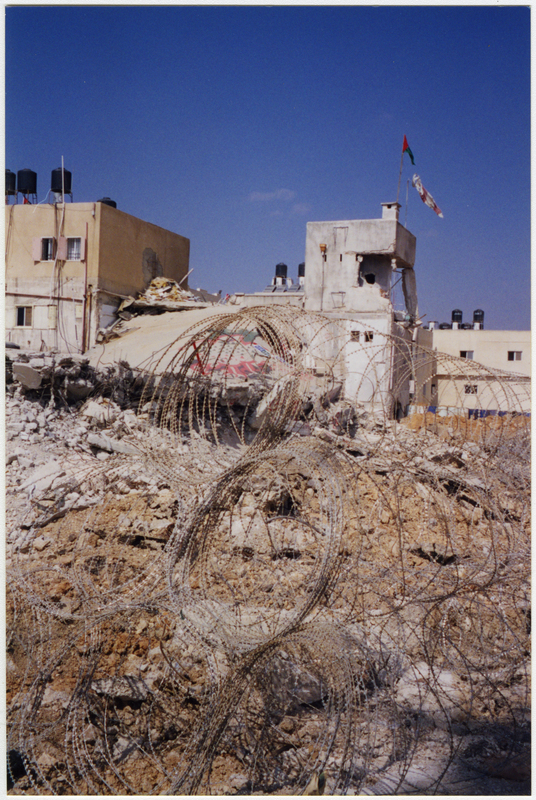 West Bank checkpoint, 2002. From 11-0221, Worldwide Ministries Division. Associate for Middle East and Asia Minor photographs. Jeffrey DeYoe is Advocacy Chair of the Israel Palestine Mission Network (IPMN), established by the 2004 General Assembly to advocate for the people of the occupied territories. He spoke with David Staniunas by email in January; this version has been edited and condensed. David Staniunas: How did you first take an interest in the Israel-Palestine conflict? When did you begin work with the IPMN? Jeffrey DeYoe: I took a trip to Israel in 2001 with a group of 40 interdenominational clergy. It was a standard holy sites tour, but because of the Intifada, we were about the only tour group we saw at most of the sites. Prior to going I never paid much attention to Israel/Palestine or the issues involved. I came home with concerns and not much information, so I researched it. Then in 2006 the Presbyterian Peacemaking Program put on a trip to Bethlehem and part of that was attending a peace conference. Between 2001 and 2006 the wall around Bethlehem had gone up and we lived inside that wall for one out of the two weeks we were there. I was seeing the entire matrix of occupation first hand, hearing the stories, and dialing into the struggle more than ever. This looked like apartheid to me. 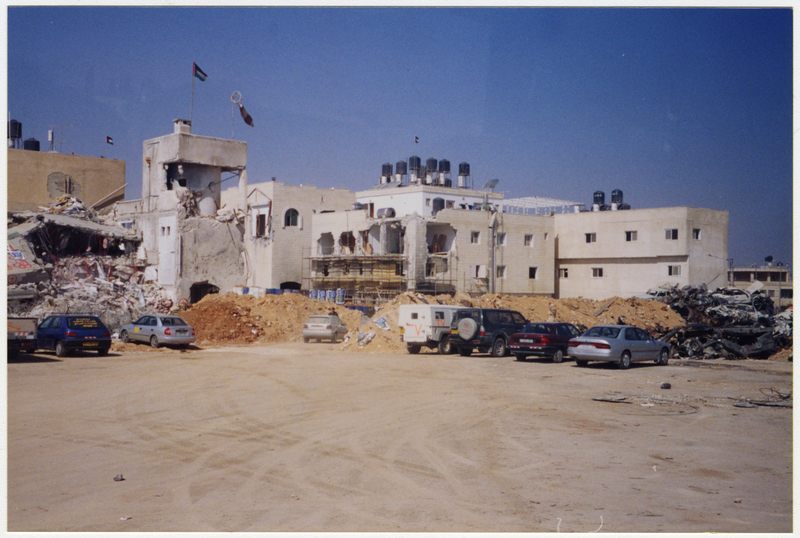 Yasser Arafat's compound, Ramallah, October 2002. From 11-0221, Worldwide Ministries Division. Associate for Middle East and Asia Minor photographs. After General Assembly, I was invited to the IPMN annual meeting in Chicago that October, which was in essence the meeting where it formally organized itself. I attended the meetings for those who were concerned about advocacy, did a lot of talking, and the group wound up electing me to become the "advocacy convener" which eventually led to my election as the chairperson of the formal advocacy committee. DS: In the past, the church has run divestment on twin tracks, one group dedicated to outreach, education, and prophetic speech, the other dedicated to concrete financial works in the present. In South Africa, the UPCUSA had the Task Force on Southern Africa raising awareness among Presbyterians, and Mission Responsibility Through Investment (MRTI) lobbying corporate boards to divest. Does the PC(USA) continue this kind of parallelism? JD: MRTI is the official body within the PC(USA) to engage with corporations, which means all divestment endeavors are funneled through them. So even if a specific General Assembly voted to mandate divestment, after the fact of that vote MRTI is the group that does the heavy lifting in regard to making that so and how it will be effected. In terms of Presbyterian Peacemaking, boycott, divestment, and sanctions are understood to be the tools of non-violence in seeking to effect change towards justice for oppressed peoples, whom the church understands to be one of its primary callings from Christ. The Task Force on South Africa preceded the whole mission network system and today would have been a mission network. So yes, there's a sense in which IPMN, in regard to Palestinian issues, is the awareness-raising group in the denomination, and MRTI continues to be the official organization to work with corporate boards. MRTI has the power to recommend divestment directly to the General Assembly, and IPMN lobbies hard for that issue. "Take away the tools of non-violence and the institution of the church has nothing relevant to bring to the table [...] except theological hopes and dreams." DS: In the Outlook piece that was reprinted in July , you wrote: “Europeans have already learned that investing in such things as solar panels and water cisterns in Palestine, only to have the Israeli military dismantle those projects immediately, is a fruitless endeavor until the matrix of occupation is completely dismantled.“ I read this establishing that action in the real world won’t hold up unless it is already intellectually comprehensible and inevitable. Do you think that positive investment shortchanges the winning of hearts and minds? JD: Positive investment is, along with boycott, divestment, and sanctions, a non-violent tool seeking to effect change that seeks justice for oppressed people. The PC(USA) engages in positive investment in many places in the world, and it also engages in boycott, divestment, and sanctions in various areas as well. This has always been standard for a church that rejects violence as a means by which we resolve differences and effect justice--it is the work of peacemaking. Take away the tools of non-violence and the institution of the church has nothing relevant to bring to the table in a real and brutal world except theological hopes and dreams. The problem with positive investment in Palestine is that though it can help specific individuals live economic lives that might be a little more secure, it does nothing to affect the matrix of occupation as it presently exists. This matrix exists as part of an ongoing program of continuing dispossession of the Palestinian people from their ancestral land and claims by the Israeli government and its policies. Although the investment may be "positive" in the sense that investors fund programs that will help improve life to a certain degree, the results of such investment are completely subject to Israeli occupation. Financial movers and shakers are not going to really invest in people who, for instance, can't even move products over boundary lines with walls, fences and checkpoints between Palestinian regions within the West Bank without Israeli military cooperation, so that what investments remain are nothing but token expressions. IPMN's position on positive investment is that it is a useful tool of non-violence which can be used in Palestine in conjunction with boycott, divestment, and sanctions, all helping to shine a spotlight on what the occupation actually does to Palestinian society. By itself, however, positive investment is a paper tiger. It doesn't address the injustice of occupation and all that goes with it. Opponents of boycott, divestment, and sanctions are cynically using positive investment as a way to change the discussion and keep the denomination from being committed to boycott, divestment, and sanctions in the case of Palestine. The irony is that a vast majority of these folks have, in the past, been politically progressive people who supported divestment from South Africa. I have personally heard them talk about why boycott, divestment, and sanctions can't work, completely negating the reasons why it did work in South Africa when they supported that. The arguments against divestment now are the same arguments I heard from Princeton Seminary's President James McCord and Chair of Trustees John Templeton in front of our student peace and justice organization back in 1979. DS: Prior to 2004, Presbyterian action on Israel-Palestine amounted to lobbying and consciousness-raising alone. In 2004, the General Assembly referred action to MRTI to propose “phased selective divestment.”  What changed? JD: In either late 2003 or early 2004, the Rev. Glenn Dickson, pastor of Westminster Presbyterian Church in Gainesville, Florida, led a contingent from his congregation on a Holy Land tour, and it was your typical tour. But they experienced the Palestinian plight in ways that really made them sit up and take notice as a group, as I had in 2001. When they returned, this group had discussion with Westminster church leadership about what they encountered, which led to the writing of an overture, approved by that church's session, that the PC(USA) divest from all companies that contribute to the matrix of occupation in Palestine. Glenn had a major hand in writing that overture, and his frame of reference was divestment from South Africa. I was a member of the Presbytery of St. Augustine, serving a church in Palm Coast, and was present at the presbytery meeting when the overture was brought to the floor. Up until then, I was still trying to learn about Palestine as a result of my 2001 trip, and that church group's report on its experiences during discussion of the overture on the floor of the presbytery resonated exactly with my experience. I did not know Glenn very well, but felt moved to get up and support their argument from the floor. The overture was approved to be sent to the 2004 General Assembly. Glenn was appointed by the presbytery to be the overture advocate at G.A. in Richmond, Virginia, and he and an elder drove overnight to Richmond to testify before the committee discussing the overture and then drove right home after the hearing, and was not even present when the plenary voted. By the time it came out of committee, the action was changed into the language of "phased, selective divestment" and was to be referred to MRTI for that purpose. The overture called for divestment immediately, the final action was to refer it to MRTI with the understanding that if the corporations named did not cooperate with the PC(USA) as a stockholder, MRTI had the authority to come back to the next General Assembly and recommend divestment. MRTI didn’t make such a recommendation until 2012 when it reported that there was a complete breakdown in corporate engagement, with the companies unwilling to continue meaningful dialogue. 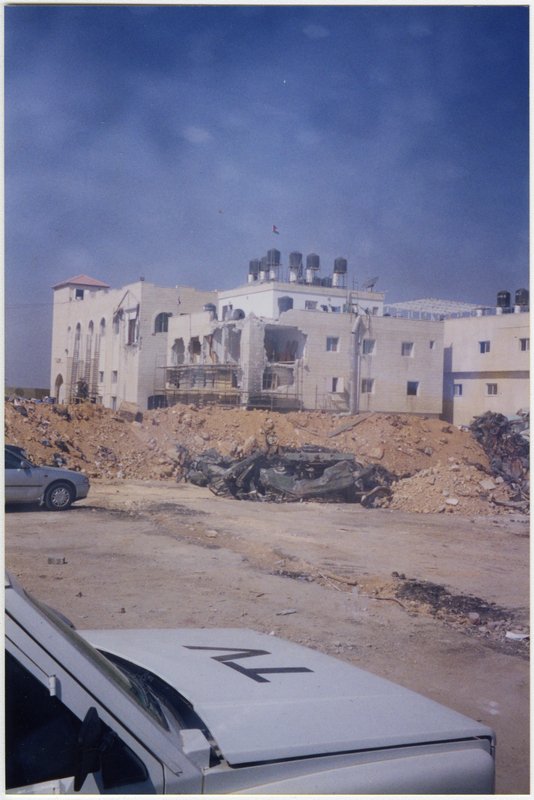 In 2012, the overture and MRTI’s recommendation aligned and Committee 15 [the General Assembly Committee on Middle East Peacemaking Issues] for the first time ever supported divestment by a 3-1 margin, and then the recommendation to divest was defeated by a parliamentary maneuver in plenary. What is interesting is the narrative promoted by opponents of divestment following the overture from Glenn Dickson and Westminster Presbyterian Church: that the whole matter of divestment was cooked up at the Presbyterian Center by liberal national agency staff. This was a cynical attempt to demonstrate that there was a divide between “radical” PC(USA) national agencies and the Presbyterian rank and file. But the Glenn Dickson story demonstrates that the action did come from Presbyterian rank and file without any prompting from the national agencies. DS: In the 1970s, Presbyterians, through the World Council of Churches, sent over $1 million to anti-apartheid groups in South Africa. To help contextualize the necessity of divestment as a tactic, could you talk about some of the barriers to directly funding Palestinian and Israeli peace and anti-occupation activists? JD: I am not aware of the level to which the PC(USA) supports the WCC any longer or whether the WCC sends any money to such groups. What I do know is that the financial structuring of this denomination has changed dramatically, and there is less money available just to keep the work of our mission co-workers and regional liaisons going. This is why the denomination has shifted to the mission network model, in which grassroots Presbyterians with a common interest in mission to a certain region organize for that work and self-fund through PC(USA) financial channels. So, for instance, I make a yearly pledge to IPMN and send it to the Extra Commitment category through the denomination that has been established for IPMN, and then IPMN works off those funds. The formula for IPMN budgeting is that we use a third for advocacy, a third for the support of Presbyterian mission personnel in the area and support of mission projects in Palestine, and a third for General Assembly expenses. We have no paid leadership, and things like General Assembly expenses are all out-of-pocket for members. IPMN receives no outside money and is completely funded by pledges from its members and some gifts from the Peacemaking Offering. 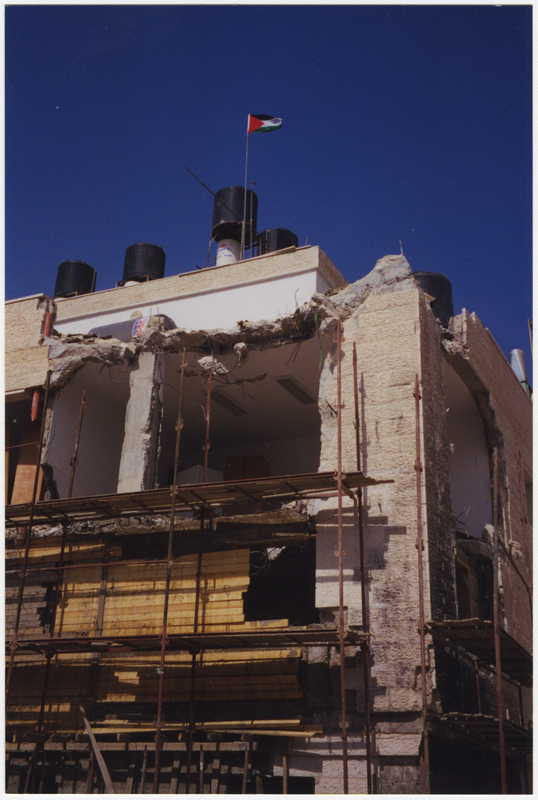 Some of our funds may have in the past gone to support an organization like the Israeli Committee Against House Demolitions (ICAHD), which qualifies as an Israeli peace activist organization. I also think money has gone to Christmas Lutheran Church which is a Palestinian church and international conference center in Bethlehem. We are very discerning about where we send money, however, because our strict policy is that we can only support groups that operate within the peace and justice guidelines of the PC(USA). Any groups that are loose on that definition and may possibly support any form of violent response in any small way cannot receive IPMN funds because we are in complete agreement with and are bound by PC(USA) policy in that regard. Remembering back to the kind of support Presbyterians gave to the WCC in the 1970s and early 1980s things pretty much hit the fan in many mainline denominations when reports came out that the WCC was not always as discerning as it should be and that some WCC money got into the hands of groups that advocated violent resistance. The WCC and all the denominations supporting it wound up going through much scrutiny and intense internal review as a result, which for us as a denomination meant that we have become much more critical about where Presbyterian money actually goes in places where there are some groups doing the work of peace, justice and non-violence and some that are not necessarily doing that. DS: Did you work on OVT-013 from the Presbytery of San Francisco ? Is it possible that the 221st General Assembly will move away from the two-state solution to a neutral position? Are more Presbyterians considering a one-state solution – an Israel-Palestine with full political rights for an Arab majority? JD: The overture is not about advocating a one-state solution over a two-state solution or vice versa. The overture is about saying that our two-state policy as a denomination is now decades old and cannot possibly reflect the ever-changing facts on the ground. So, for instance, we really have no clue when it can be said that the Swiss-cheese we now know as Palestine is no longer viable as the kind of state envisioned in the 1948 U.N. resolution. We keep saying that as a denomination our stance is that we support a two-state solution, and no one knows if that is even possible anymore. So, as responsible human beings seeking to discern God's will, we probably ought to examine the situation. The other part of that is realizing that the only parties that can determine what the best solution is are the Israelis and Palestinians, and both camps are divided within themselves on this question. I sat in the United Nations in Geneva a few years ago at a WCC Palestinian justice advocacy conference and listened to Palestinians argue over one-state vs. two-state amongst themselves without an Israeli in the room. The Presbyterian Church (USA) should not be in the position of prescribing policy for people who are still trying to figure it out amongst themselves. This means that we should first study it through the Advisory Committee on Social Witness Policy (ASCWP), which is the committee that has its finger on the pulse of such policy, and possibly be willing to recommend a neutral position to the 2016 General Assembly if it is determined that our present position is based on old data and ignorance or denial of the present-day realities. It is an opportunity to be responsible about policies we make in the past and then never revisit, although we keep paying lip service to the same-old-same-old whether or not it is grounded in reality any longer. I don't have a clue what the Assembly will do with that, first, because I do not know what ACSWP would finally recommend, and secondly, because the two-state solution is so much a part of Israeli government propaganda. Many Presbyterians still believe it is the reasonable way to resolve the problem because that is what the Israeli government says is the right solution. Even though the United States government may not be honest brokers anymore, Presbyterians need to be better than that in setting and maintaining church policy. DS: Will we see you at General Assembly? JD: Yeah, I’ll be there.